Mining has always been hard, dirty, and above all dangerous work. This monument memorializes one of the worst tragedies ever to strike the Silver Valley, the Sunshine Mine Disaster of 1972. Of all the mines in the Silver Valley the Sunshine Mine, located between the cities of Wallace and Kellogg, is perhaps the best known. Over its one-hundred-and-ten-year history, the Sunshine has produced millions of tons of lead, zinc, and copper; and over 360 million ounces of silver. 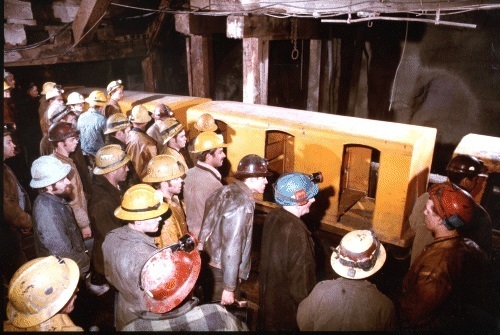 On the morning of May 2, 1972, 173 miners arrived at the Sunshine Mine to start their work day. Surface and underground foreman took charge of activities while principal operating officials, who would normally have been present, attended the annual stockholders' meeting in Coeur d'Alene. Shortly before midday, two electricians began shouting warnings when they smelled smoke shortly after leaving their shop. Unable to locate the source of the fire, they alerted the foremen. Men were sent with verbal warnings, but most miners only became aware of the blaze when the smoke entered their workplaces. The fire was located on the air intake side of the mine, circulating deadly carbon monoxide throughout the main airways. Many of the exits were blocked by smoke and only a few men could be hoisted out at a time. Working under dangerous conditions, rescuers evacuated as many miners as they could, but after eighty men were hauled out, the hoist operator died. After the hoist man's death, only two more miners were rescued. By the time rescue personnel arrived at 2:00pm, ninety-one miners had died from smoke inhalation. The rescue crews attempted to locate and extract any survivors, but in the end they could only recover bodies. The cause of the fire was thought to be the spontaneous combustion of some refuse near scrap timber, according to The Bureau of Mines. 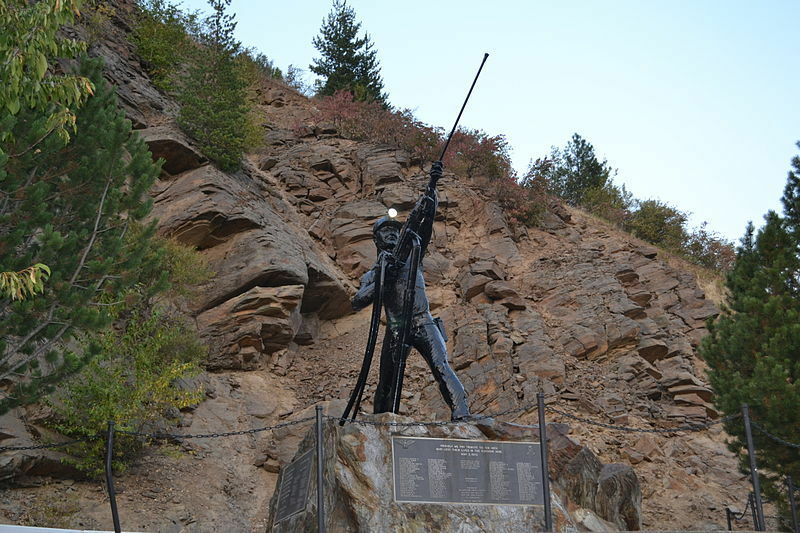 The Sunshine Mine disaster was the worst mining tragedy in the Idaho's history. In front of you stands the impressive Sunshine Miners Memorial, erected by sculptor Ken Lonn. This monument was not placed here to memorialize the tons of silver that were extracted from the surrounding mountains. Instead, this memorial commemorates the ninety-one miners who lost their lives in one of the most horrific mining disasters to date. 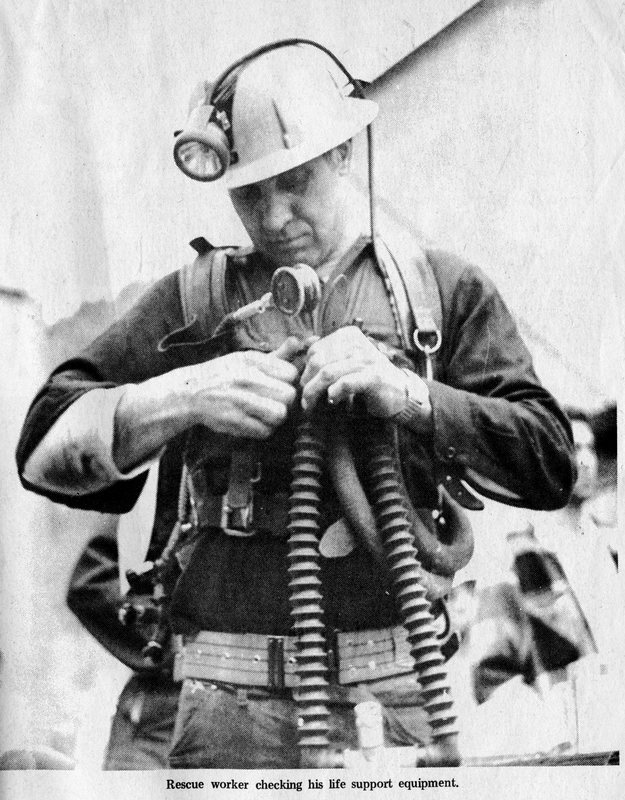 Rescue Worker in Gear: With little oxygen left inside the mine, rescuers wore oxygen ventilators and other safety equipment while trying to rescue survivors. Image SMF003 courtesy of the Wallace District Mining Museum. 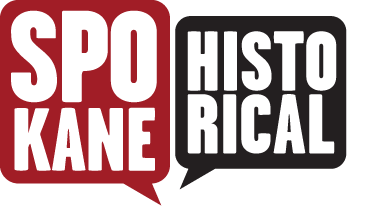 Cory Carpenter, “The Sunshine Mine Disaster,” Spokane Historical, accessed April 24, 2019, https://spokanehistorical.org/items/show/461.